*REDUCED* As you enter through the leaded glass front entry door, you’ll find a home that has been beautifully updated & ready for you to move right in! Formal Living Room, Formal Dining Room & Family Room boasts BRAND NEW Vinyl Plank Wood Floors that are water resistant and oh so easy to care for. The rest of the home features BRAND NEW carpet, fresh interior paint! Plantation shutters throughout the home provide that upscale décor you’ll love. 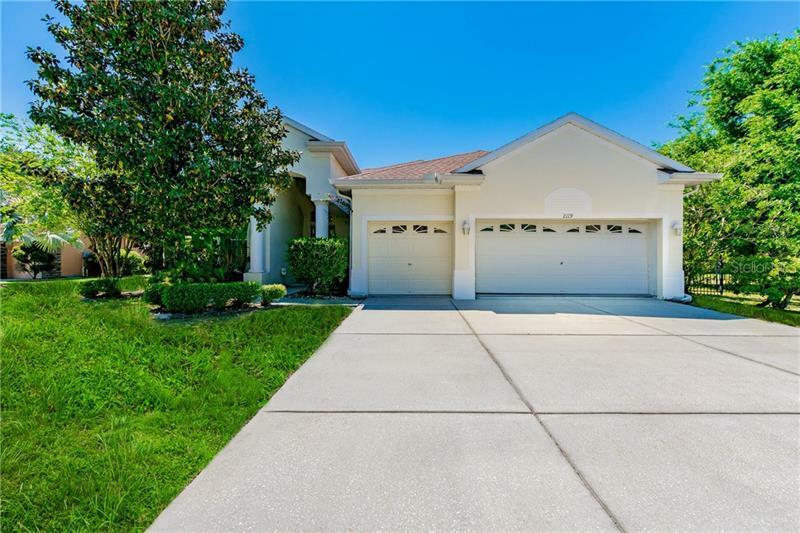 Large kitchen has 42” cabinets with crown molding, breakfast bar, granite counters, SS appliances & breakfast nook that overlooks the Family Room with triple sliders to the screened lanai with pool. This home has a three-way split floor plan so everyone has privacy! Master bedroom is over sized with tray ceiling, ceiling fan, sliders to the pool area & TWO walk-in closets. Master Bath features dual sinks, garden tub & separate shower. Two secondary bedrooms share a hall bath & the 4th bedroom has its own hall bath. Upstairs you’ll find the 5th bedroom with closet or you can use this room for a study, bonus room ~ the possibilities are endless! Step outside to the screened lanai & enjoy your pool, fenced back yard for privacy & the solitude of the peaceful pond view ~ it doesn’t get any better than this. A/C only 1 ½ years old, water heater 6 months old. Low HOA fees and NO CDD fees! Magnolia Estates is a Gated Community and provides access to the private boat ramp & dock with access to the Anclote River and the Gulf of Mexico & a private playground.